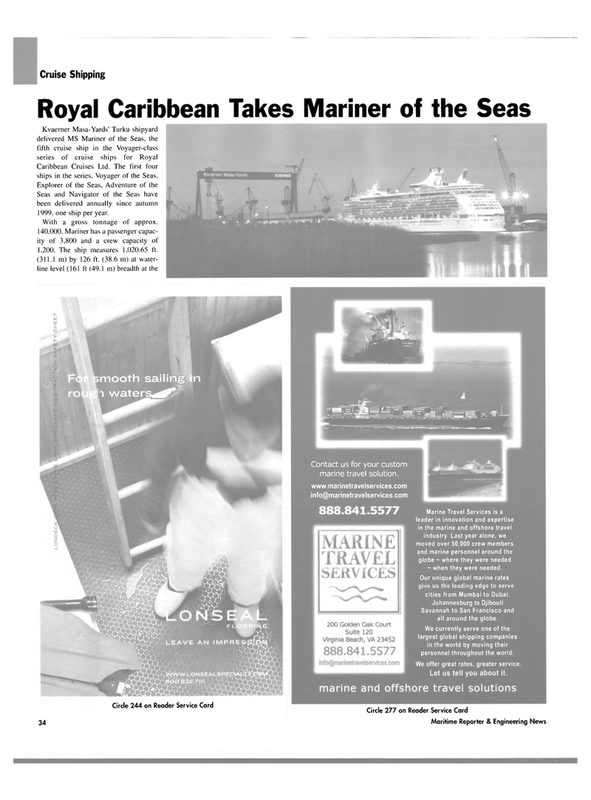 Seas and Navigator of the Seas have been delivered annually since autumn 1999. one ship per year. Marine Travel Services is a leader in innovation and expertise in the marine and offshore travel industry. Last year alone, we moved over 50,000 crew members and marine personnel around the globe ~ where they were needed - when they were needed. Savannah to San Francisco and all around the globe.